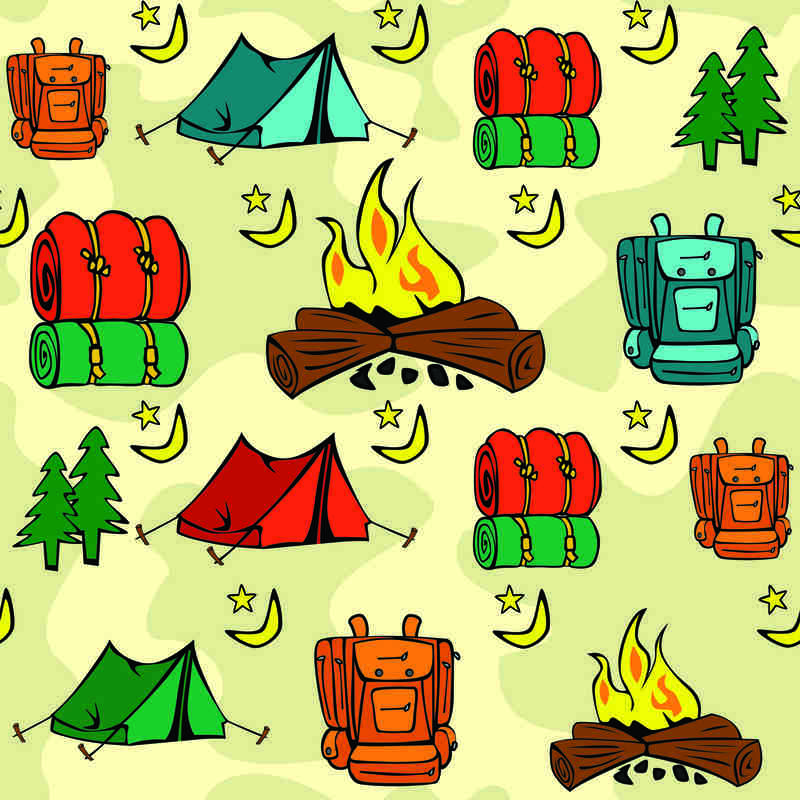 Description: Camping pattern featuring campfire, tents, trees, and other graphics. 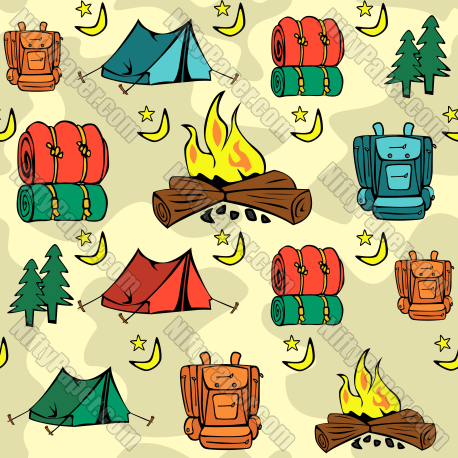 Features: 12 inches x 12 inches (works with 8.5 x 11 paper too), high resolution (300 DPI), seamless pattern for tiling. Note: the downloads don't include a watermark. Use the template for creating digital scrapbooking pages and layouts. The images tile to create seamless backgrounds for areas larger than 12 inches square. Create printables like greeting cards, invitations, flyers, and more. Print your own wrapping paper. You may use our digital paper for personal and classroom use with attribution*. You may not sell the files, printouts of the digital paper, or any works created with the digital paper. Limited distribution of printed versions of the digital paper is allowed for classroom use. No commercial use is allowed. *If you use the digital paper, please include a credit for NiftyPaper.com as the source.